Zambia’s King Cobra has had a busy two weeks. Since his upset Sept. 20 election victory, former opposition Michael Sata, who keeps a statue of rearing a snake on his desk as a reminder of his venomous tongue, has made his mark on Africa’s biggest copper producer. He has fired the central bank governor and a host of other bureaucrats, reversed two foreign takeovers and temporarily suspending mineral exports. The moves have caused jitters among foreign investors, not least the mining companies that his Patriotic Front (PF) party accuses of dodging taxes by under-declaring the amount of ore they are shipping out of the southern African country. But so far the balance of opinion is in Sata’s favour, with the gruff 74-year-old’s shake-up of a jaded bureaucracy being interpreted as an assault on corruption and vested interests rather than on investment. “What has stood out for me is that he’s very serious in terms of tackling corruption, which is a huge positive,” said Ridle Markus, an Africa analyst at Absa Capital in Johannesburg. 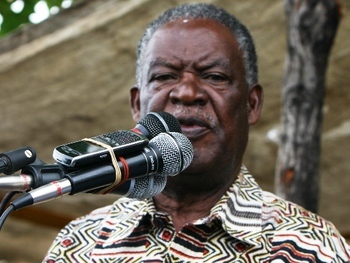 On his first day as president, Sata saw Beijing’s ambassador to Lusaka, a meeting designed to reassure his country’s biggest external investors that fiery anti-Chinese rhetoric while in opposition would not translate into policy. Then followed a flurry of sackings, some expected, some not. The dismissal of Bank of Zambia governor Caleb Fundanga with six months to go on his contract raised the most eyebrows among investors who had approved of his tight grip on inflation and oversight of the kwacha currency . But analysts said Fundanga’s dismissal had more to do with his cosy relationship with Sata’s predecessors in the Movement for Multi-party Democracy – in power since the end of the one-party state in 1991 – than any shift in monetary policy. Given Sata’s decision to route all export payments, including for copper, via the central bank to keep a closer eye on mining output and royalties owed, it is also understandable he would want his own person in the job. “His firing was not over policy but over concerns that the governor had let his affiliation with the former ruling party compromise his independence and commitment to fight corruption,” Eurasia Group analyst Philippe de Pontet said. The performance of the kwacha since the election bears that out that view. The currency fell more than 5 percent against the dollar when it became apparent Sata had won, but has since recovered its pre-election poise as the shock of an incumbent African leader losing an election has subsided. Domestically, however, the zeal with which Sata is sweeping out Zambia’s Augean stables is causing concerns he may be short-circuiting due process. In particular, his opponents point to his decision to launch an inquiry into the $5.4 million sale of troubled lender Finance Bank to South Africa’s FirstRand – and then annul the deal before hearing any verdict. “He should have allowed the process of the law to be followed,” said Ng’andu Magande, a former finance minister.